Discover the secret history of World War Two: stories of amazing heroism, in which stalwart men and women struggle to overthrow a nightmare alliance of steel and the occult; of frightening inhuman conspiracies from the depths of time; of the unbelievable war machines which are the product of Nazi engineering genius – and how close we all are to a slithering end! The Secret War has begun! • Full rules for use with BOTH Call of Cthulhu 6th Edition AND Savage Worlds in one book! In fact – There’s a whole Shoggoth’s worth of Cthulhu villainy, enough for any Keeper to have his investigators dead, insane or running for their lives in no time! 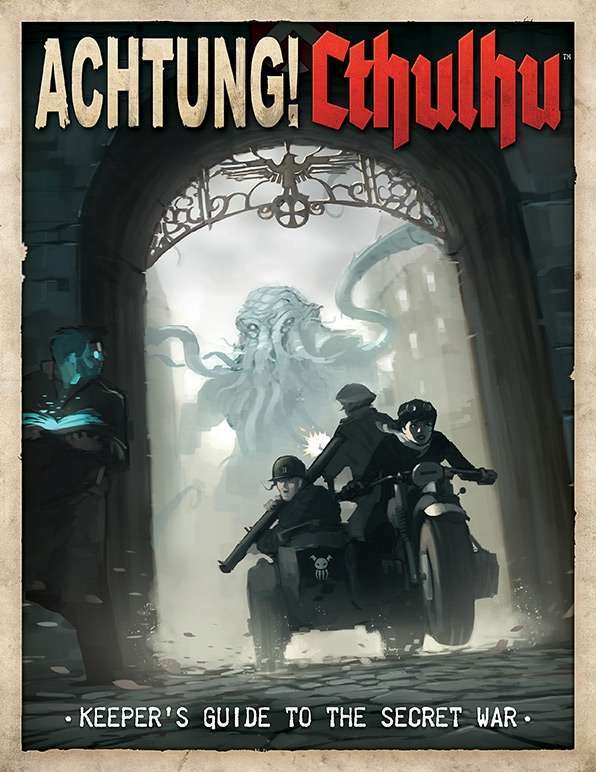 The Keeper’s Guide to the Secret War is the essential Achtung! Cthulhu wartime reference for any Keeper or fan of the Cthulhu Mythos. Do you need the Realms of Cthulhu book to play this? Does this also contain the material in the Investigator's Guide?